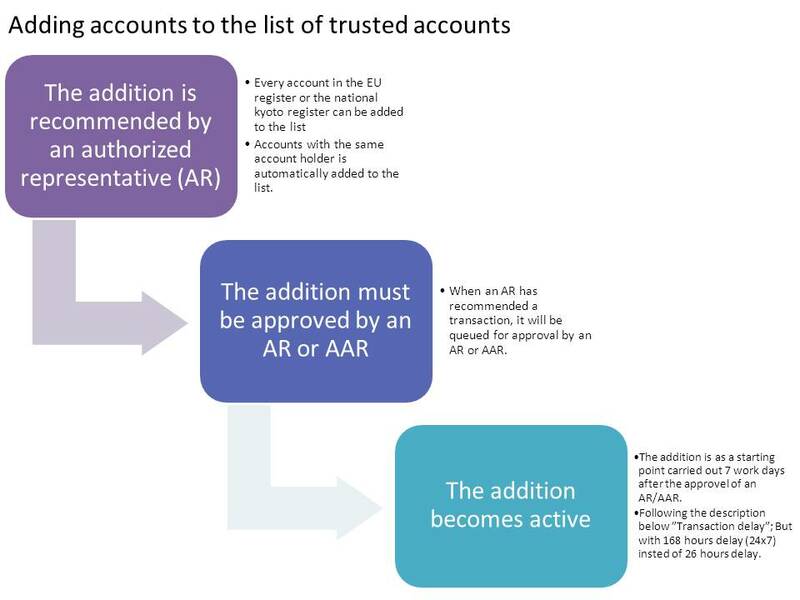 As a general rule, transactions can only be made to accounts which have been added by an account representative (AR) to the account-specific list of trusted accounts. The only exceptions to this are trading accounts where transactions to other accounts can be carried out with the approval of an AAR. An account representative is free to add accounts to the account-specific list of trusted accounts in the registry. The addition must be approved by another authorized representative (AR) or by an additional authorized representative (AAR). When one of these representatives has approved the inclusion on the list, the inclusion will be delayed for 168 hours (7 days) for security reasons. This delay is subject to the same sequential rules as the 26-hour transaction delay (see Transaction delay), meaning that the delay process is suspended at weekends and on national public holidays. Therefore, the inclusion will first become active seven working days later. During these 168 hours, an AR may cancel the addition of an account to the list of trusted accounts, regardless of the reason. 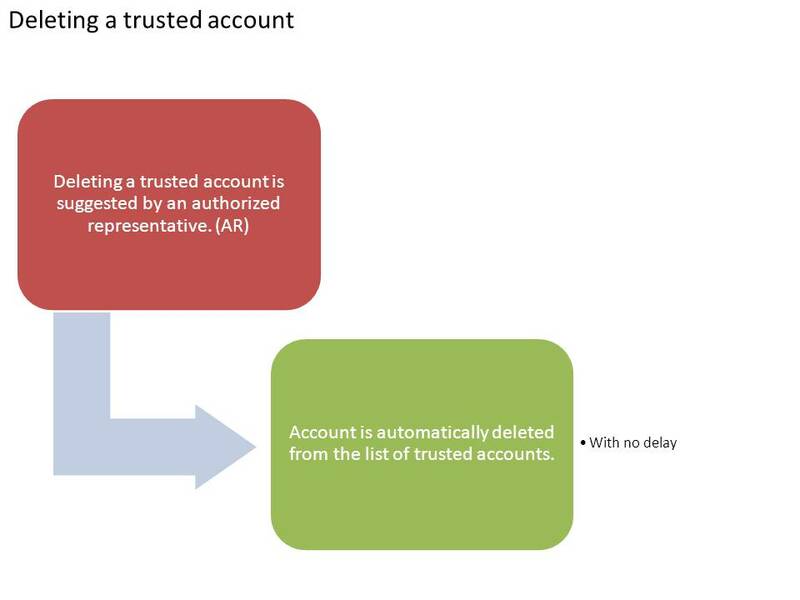 The steps required for adding accounts to or removing accounts from the list of trusted accounts are illustrated below.